An event recognising the dedication of headteachers and education leaders from across the city was held at City Hall this week. 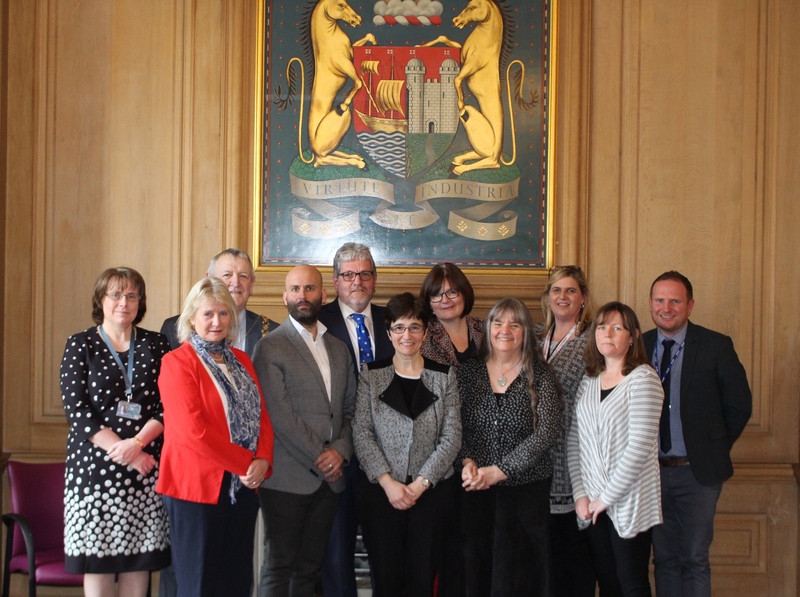 Nine individuals were celebrated for their ongoing commitment to education in Bristol and their unwavering support for children and young people. The individuals came from many different places, from early years to secondary schools, and awards were given for a wide range of work. Highlights included improving OFSTED results and building partnerships with local libraries, through to supporting leaders in other schools and raising the aspirations and achievement of pupils. Examples of good practice were varied and far-reaching. Three members of staff from Little Hayes and Hillfields Early Years and Family Centre were praised including headteacher Shirley Doveton who was recognised for her strong leadership. Lucy Hudd, family and community services manager, was also commended for her partnership working across Bristol and beyond. The centre’s community educator, Natalie Hardidge, was praised for her pivotal role in arranging a new collaboration with Hillfields Library, which is helping to transform the local community. Toni Glazzard, headteacher at Rosemary Nursey School and Children’s Centre, was noted for the role the centre plays in the diverse local community and the relationships staff have developed with parents, as well as its ‘outstanding’ OFSTED rating. Similarly the part that Kate Slatcher, headteacher at Holymead Infant School, has played in supporting leaders beyond her own school was highlighted, as were the considerable school improvements and high aspirations for students held by principal Julia Dauban and her team at Oasis Academy Long Cross. Others noted for their commitment include Kevin Jones, headteacher at Luckwell Primary School, who has played a key role in developing new talent in the city, as well as Matt Condon, headteacher at Christ the King Catholic School. Matt was applauded for helping the school to make significant progress since its last OFSTED inspection and being instrumental in building links between the school and other partners. Finally, Air Balloon Primary’s headteacher, Rob Worsford, is retiring so his long career was celebrated for its many successes. Rob is one of the longest serving heads in the city.